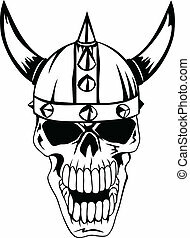 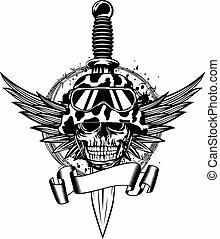 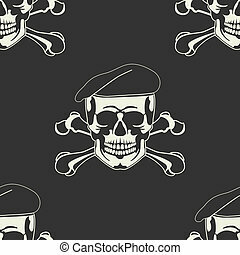 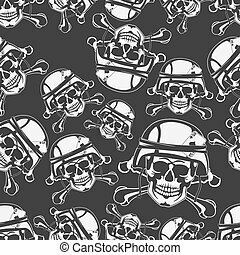 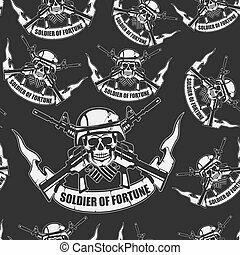 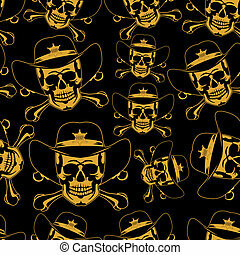 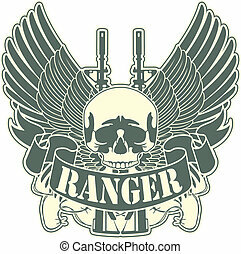 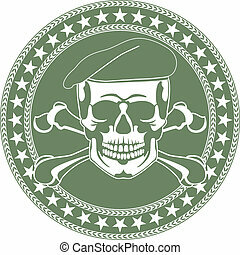 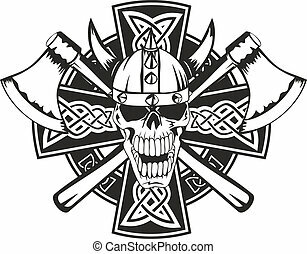 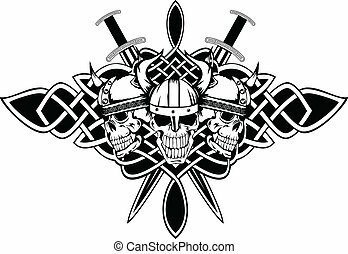 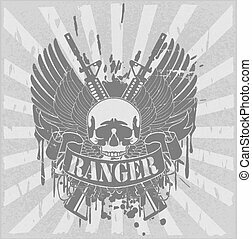 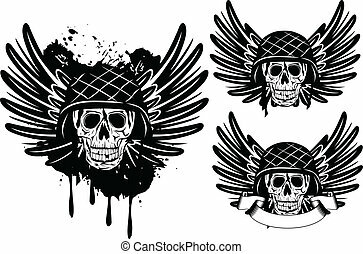 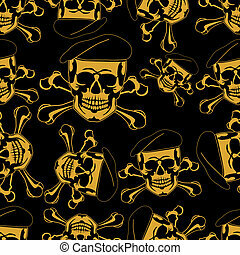 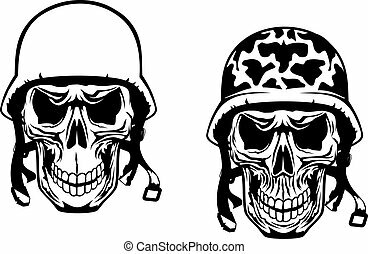 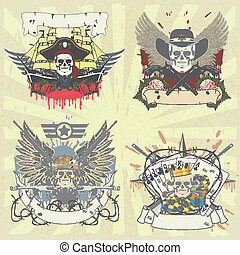 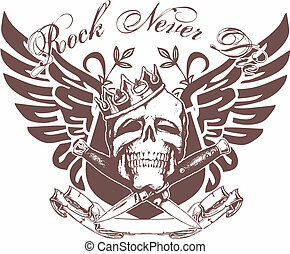 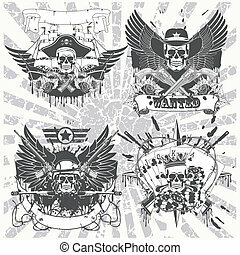 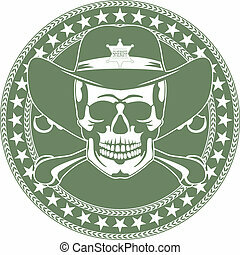 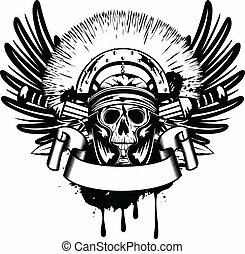 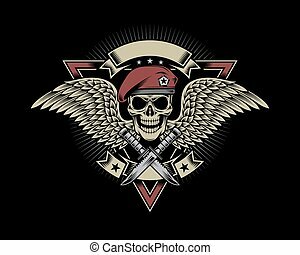 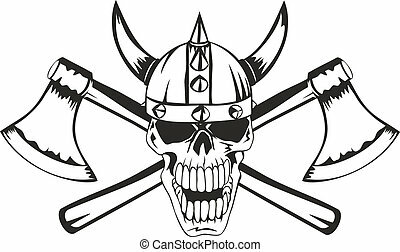 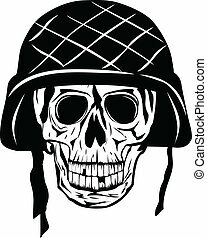 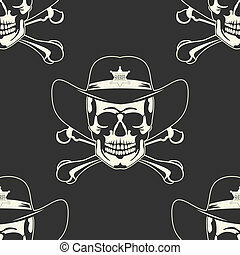 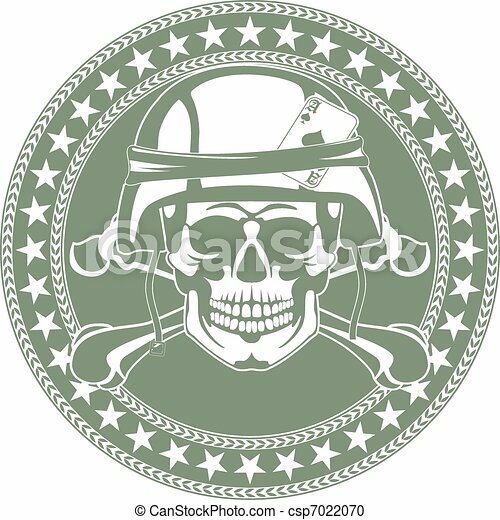 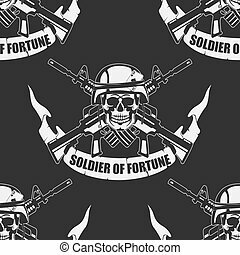 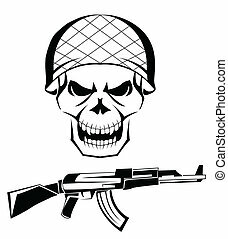 The vector image of emblem a skull in a military helmet. 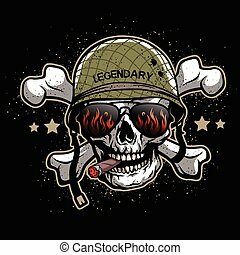 Skull in sunglasses and a military helmet. 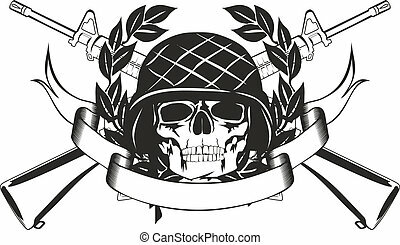 The illustration on the theme army.